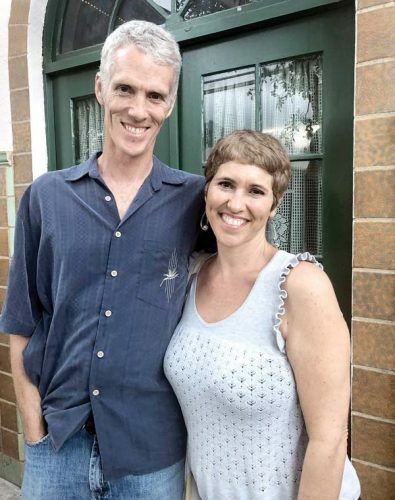 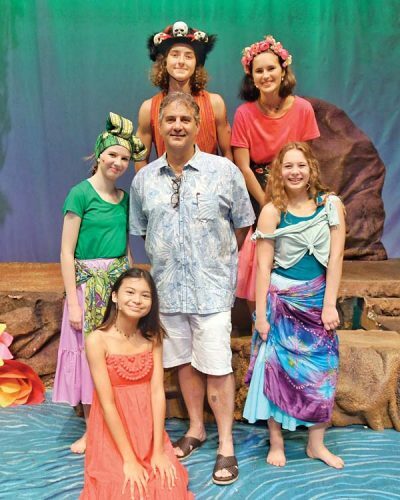 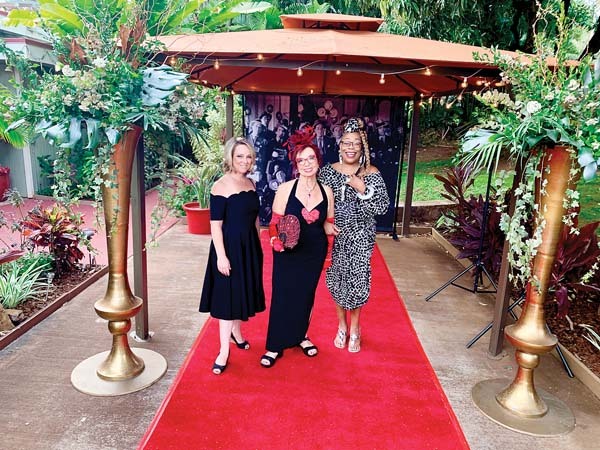 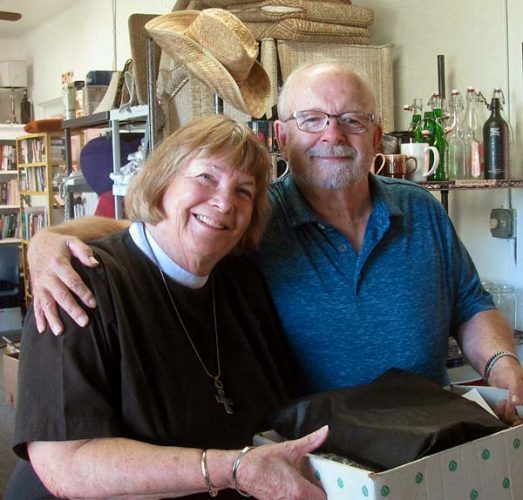 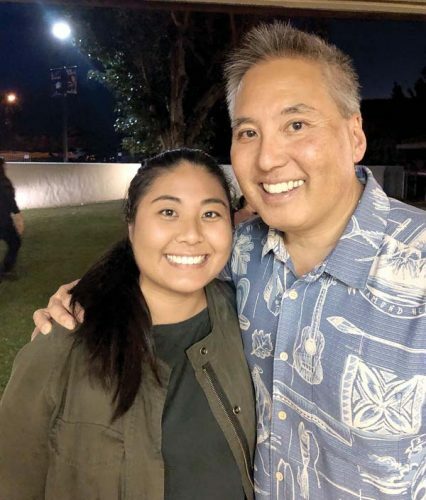 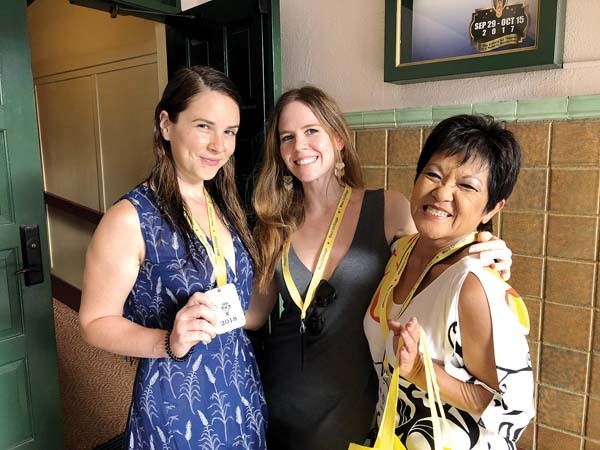 Wailuku – Brett Wulfson (from left), Lin McEwan and Kathy Collins excitedly await the opening of Maui Fringe Theater Festival at the Historic Iao Theater on Friday; Catherine Kenar photo. 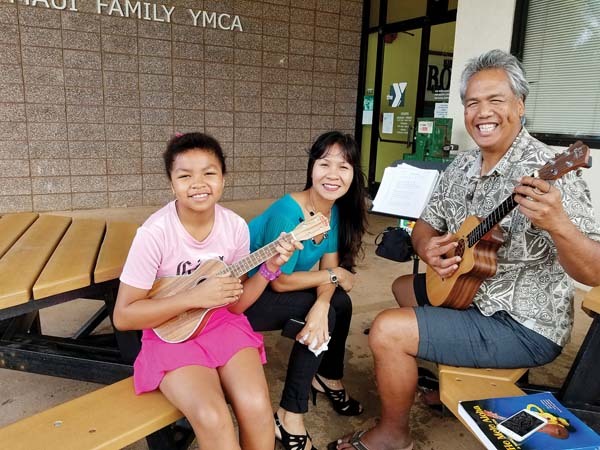 Kahului – Outside the YMCA, Tuyet Randolph (left) gets an ukulele lesson from Mika Villaren (right) as mom, Sylvia Randolph, looks on; Karen Saka photo. 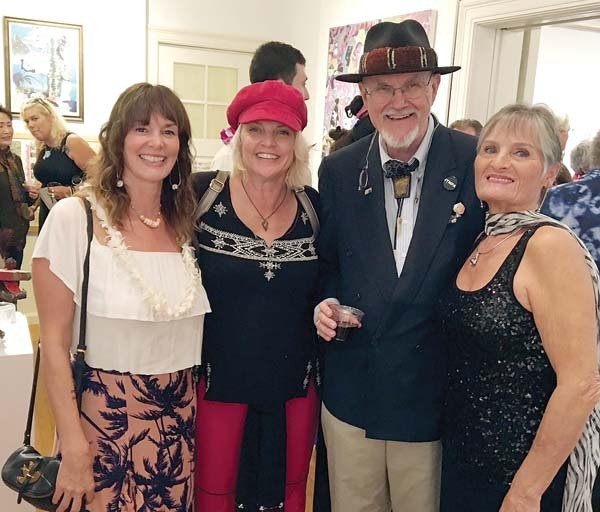 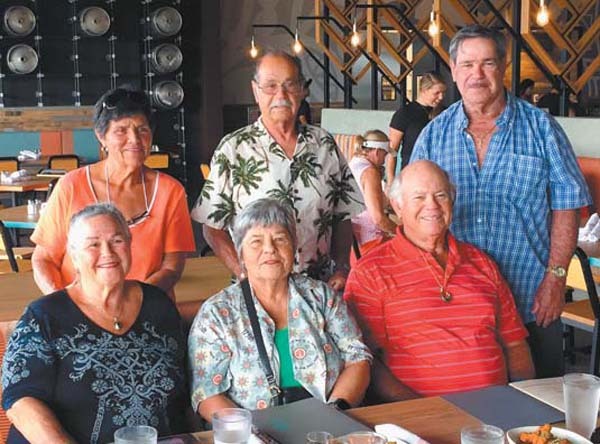 Makawao – Jenifer Valenzuela (from left), Cudra Clover, Paul Janes Brown and Caren Nelson enjoy the Annual Juried Exhibition at the Hui No’eau earlier this month; Wayne Smith photo.